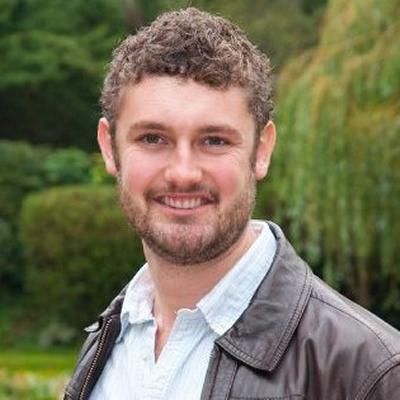 Dr Benjamin Pennington is a Visiting Fellow in Geography and Environmental Science at the University of Southampton, whose primary research interests lie in the geoarchaeology of Holocene riverine and deltaic environments, especially those of the Nile. Environmental change in deltaic settings and the emergence of civilisation. Hydroclimatic changes in the Nile basin reconstructed from sedimentary XRF analysis (with Cairo University). Theban harbours and waterscapes survey (with Egypt Exploration Society / Uppsala Universitet). Naukratis in its riverine setting (with The British Museum / Egypt Exploration Society). Minufiyeh archaeological survey (with University of Edinburgh). Archaeological survey of Tell Tinnis. Archaeological survey of Tell Mutubis (with Durham University). Archaeological survey of Hadrian’s Villa, Tivoli (with The British Museum). PhD (2017) University of Southampton – Geography. MSci, MA (2011) University of Cambridge – Natural Sciences. I am a geoarchaeologist interested in the reconstruction of ancient landscapes through the study of the sedimentary record, and the assessment of linkages between past landscape change and the trajectory of human sociocultural evolution. I work over a wide variety of spatial and temporal scales: at a regional level I look at the impacts that mid-Holocene landscape change may have had on contemporary human developments in regions that harboured the first state societies. At a site-specific level I often apply my skills to answer targeted geoarchaeological questions. Strutt, K. D., Graham, A., Toonen, W., Pennington, B., Löwenborg, D., Emery, V. L., ... Lindholm, K-J. (2015). Manipulating mud: (re-)constructing cosmogonical landscapes in the Nile Valley, Thebes, Egypt. Archaeologia Polona, 53, 514-517. Graham, A., Strutt, K., Hunter, M., Jones, S., Masson, A., Millet, M., & Pennington, B. (2012). Reconstructing landscapes and waterscapes in Thebes, Egypt. eTopoi. Journal for Ancient Studies , Special Volume 3, 135-142. Gascoigne, A., Cooper, J. P., Fenwick, H., Harrison, M. J., Pennington, B., Pyke, G., ... al-Shinawi, A. (Accepted/In press). The island city of Tinnis: a postmortem. (Fouilles de l'Institut français d'archeologie orientale (FIFAO)). Cairo: Institut Francais D’Archeologie Orientale. Bunbury, J., Tavares, A., Pennington, B., & Goncalves, P. (2017). Development of the Memphite floodplain: landscape and settlement symbiosis in the Egyptian capital zone. In The Nile: Natural and Cultural Landscape in Egypt (pp. 71-96). Bielefeld: Transcript Verlag.